Exercise in general has so many benefits for every single person. Today, we are going to talk about the benefits of exercise for older adults in particular. As we age, many chronic health conditions arise. The most common conditions include Cardiovascular disease, Cancers, Diabetes, Osteoporosis, Arthritis, Obesity, Parkinson’s disease, Dementia, and Depression. Exercise can help to reduce the signs, symptoms and reverse some of the conditions listed above, however the particular type of exercise one partakes in is paramount. An Exercise Physiologist is the best person to contact to discuss what exercise suits your condition/s. As an example, for someone who has osteoporosis, the guidelines focus on high intensity strength training such as a seated row with an effort of 8/10, bone loading exercises such as jumping as well as balance training to reduce the risk of falls and fractures. However, for someone who is overweight and has arthritis in the knee, jumping is not ideal, and therefore low loading exercises are key such as swimming or cycling. Resistance training is also of high importance. 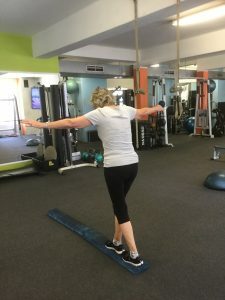 Following on from the examples given above, those who have undertaken an exercise program consisting of specific exercises for osteoporosis have been shown to stunt the progression of the condition. 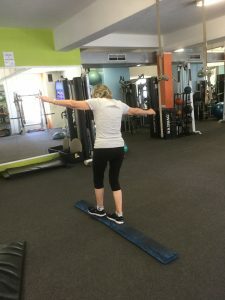 In rare cases as seen at Longevity Exercise Physiology, a slight improvement in bone density such as 5% after a 6-12 month comprehensive exercise program has been achieved. On the contrary, for those who are overweight and have arthritis, participating in 30 minutes of aerobic activity on most days of the week as well as resistance training at least twice per week have seen a decrease in body mass and decreased pain levels associated with arthritis. Overall, this improves the quality of life due to an increase in physical capacity, and in most cases improves mental health as depression is highly linked with obesity. Just recently, $22.9 million was invested in the ‘Move it Aus – Better Ageing Grant’ which focuses on helping Australians over the age of 65 to move more often. Of this, ESSA has been awarded a grant of $1.8 million which will see Accredited Exercise Physiologists and Accredited Exercise Scientists deliver a range of subsidised individualised sessions and group exercise classes. Further details will become available later in 2019. In the meantime, contact the team at Longevity Exercise Physiology on 1300 964 002 to discuss how we can help you get started today.